Our Family Medical Centers Doctors, Nurses, Dentists and Behavioral Health professionals provide personalized care for all of us – from newborn babies all the way through our golden years – regardless of income or insurance. The Family Medical Centers of Lawrence County Ohio offer residents excellent Primary Care, Pediatrics, Dentistry, and Behavioral Health Care regardless of ability to pay or insurance eligibility. We are the award winning health care extension of the Ironton-Lawrence County Community Action Organization. Your health records anytime you want them. Log into your electronic health records and keep track of your health care every step of the way. No more guessing about medications, test results, or appointments. Family Medical Centers is a Health Center Program grantee under 42 U.S.C. 254b, and a deemed Public Health Service employee under 42 U.S.C. 233(g)-(n). Family Medical Centers (ILCAO) is a Federal Tort Claims Act (FTCA) deemed facility. Reduce your wait times to see a provider by downloading the registration form, fill it in, print it out, and bring it with you to your first appointment. A primary care physician or nurse practitioner is your best defense against chronic disease throughout your life. Changes in weight, blood pressure, and many other warning signs of oncoming health problems are many times only detectable through regular checkups or well visits. Together, you and our Primary Care team can keep you healthy for a long and active life. The health of your child is undoubtedly one of your greatest concerns. It’s also the greatest concern for our Family Medical Centers Pediatricians. With four Pediatricians serving the entire Lawrence County, Ohio area, we can care for your child from before they are born through their first day of college. Our children are our most treasured responsibilities, and our Pediatric Care team are here to help you give the best quality of life possible for your child. A healthy smile means more than simply bright white teeth to welcome family and friends in for dinner. It means strong teeth to chew food, and a clean heathy mouth to help break down harmful bacteria from entering our bodies or lungs. The Dental Care team at Family Medical Centers uses the latest technology and training to help you and your children maintain a healthy smile. The Behavioral and Mental Health Care professionals at Family Medical Centers work side-by-side with patients to develop the tools necessary to cope with issues from depression and anxiety through overcoming addiction. Mental and Behavioral health issues affect everyone, and our Behavioral Health team is here to help you every step of the way. with six medical centers across all of Lawrence County. Family Medical Centers Aid offers Primary Care services to area residents from its facility in Kitts Hill, Ohio. Family Medical Centers Chesapeake offers Primary Care services to area residents from its facility in Chesapeake, Ohio. 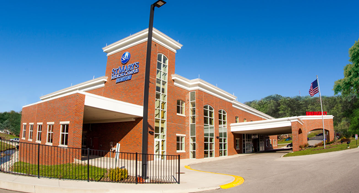 Family Medical Centers Ironton offers residents Primary Care, Pediatric Care, Dental Care, and Behavioral Health services on the second floor of the St. Mary’s Medical Campus in Ironton, Ohio. Family Medical Centers Proctorville Center offers Primary Care and Pediatric Care services at its facilities in Proctorville, Ohio. Family Medical Centers South Point Center offers Primary Care services from its facilities in South Point, Ohio. Family Medical Centers follows the Patient-Centered Medical Home (PCMH) model of providing healthcare to our community. This simply means that we are a team-based health care delivery model that is intended to provide comprehensive and continuous medical care to patients with the goal of obtaining maximized health outcomes.